Commercial property owners need to make special considerations when it comes time to take care of fall landscaping tasks. 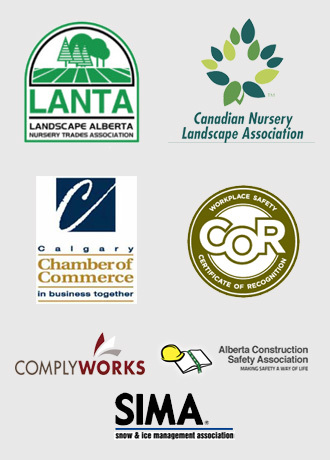 As a leading provider of commercial landscaping in southeast Calgary, the Mirage Landscaping team can help you take care of these seven essentials for a very affordable price. During the early days of autumn, before the leaves have started to fall, you should hold off on watering trees, regardless of whether they’re coniferous (evergreen) or deciduous (leafy). This gives trees a vital cue to start preparing for winter. Then, once the deciduous trees have shed their leaves, but before the ground freezes over, you should give all trees, both evergreen and leafy, a deep, healthy watering. Be sure to saturate all parts of each tree’s so-called “drip line” with water. The “drip line” is, in essence, a circumference on the surface of the ground under which the tree’s root system extends. During the growing season, mulch helps plants absorb moisture and nutrients. During the fall and winter, it provides an essential layer of insulation that helps sensitive roots avoid frost damage while protecting plants from the extremes of the freezing-thawing cycle of late autumn and early spring in Calgary. It also protects from people accidentally walking through the landscaped parts of your commercial property in the winter. Fall is an ideal time to add a layer of top dressing to your grass, which will help replenish lost nutrients and the diminished soil density that typically occurs by the late stages of the growing season. Ideally, it should be paired with a professionally performed aeration for best results. If your lawn has dead patches, fall can be a great time to re-seed. Act early enough and your newly planted grass will have plenty of time to take root; some types of grass actually grow particularly well in the cooler conditions of Indian summer and early fall. Fertilizer acts almost like “food” for your grass, and you may wonder why you need to “feed” your lawn during the fall, when winter’s arrival will send it into dormancy for the next several months. The answer is simple: fertilizing your lawn during the autumn allows your grass to build up reserves of essential nutrients that will help it recover its green lustre quickly when spring makes its eventual return. Most commercial properties in Calgary have built-in irrigation systems comprised of mechanical sprinklers and subsurface piping. Before you shut down the system for the fall and winter, it’s absolutely essential that you perform what’s called a “blow-out” to make sure there’s no water lingering in its infrastructure. Without a proper blow-out, trapped water could cause a pipe to burst or otherwise damage the system, leading to potentially serious damage. You should entrust this task to a professional, since our unpredictable winters can cause further complications that self-performed blow-outs likely won’t address. Outdoor structures like retaining walls and outbuildings can suffer damage over the course of time, and they often fly under the radar when it comes to inspections. If these structures have been weakened in any way, it’s important that they be repaired before winter arrives, since the harsh elements can make things worse. As Calgary residents know all too well, snow can arrive earlier than you might expect. Commercial properties have unique snow removal needs, since they need to remain accessible to customers at all times and liability issues arising from possible slips and falls need to be taken care of. Mirage Landscaping provides reliable, prompt, low-cost snow removal services for commercial properties in southeast Calgary. Our snow removal team will ensure your walkways and driveways remain free and clear of ice, snow, and other seasonal hazards that can negatively impact your business. Commercial Landscaping Southeast Calgary: Give Mirage a Call! The Mirage Landscaping team takes great pride in its work, and our family-run business has been exceeding customer expectations for three generations. If you’d like to see samples of what we’re capable of, please check out our portfolio of past projects. You can also submit a request for a fast, free custom project quote through our easy-to-use interface. 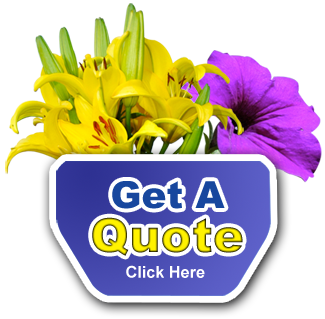 Our goal is to deliver top-notch, affordably priced landscaping services. You’ll be surprised to learn just how little professional commercial landscaping services can cost!